The Bank of Canada holds the line on interest rates and slashes its GDP growth projection for this year to 1.7 per cent. A BMO analyst knocks 1,000 points off his projected TSX high for 2019. Canada’s trade deficit in November ballooned to $2.15 billion, higher than economists’ estimates. None of this is good news. 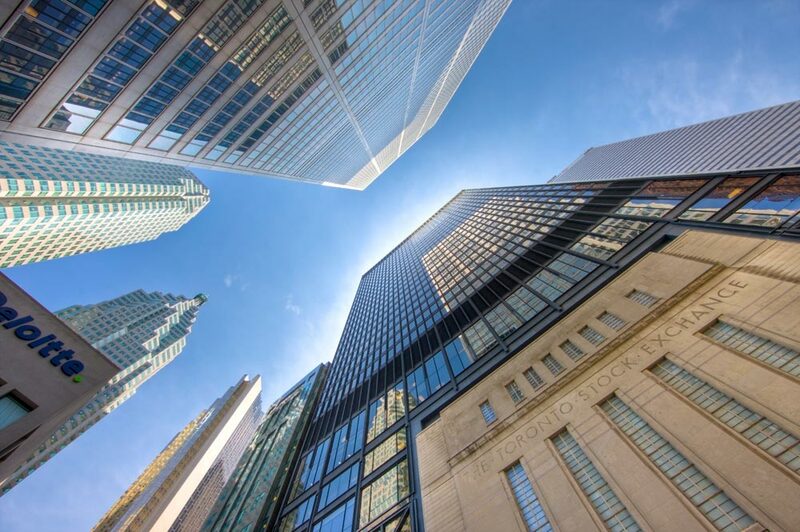 So why did the Toronto Stock Exchange move higher last week? Let’s take a closer look. We’ll start with the Bank of Canada. Although it cut its economic outlook for this year, the Bank said the economy has been performing well overall. The main problem is the energy sector, specifically the decline in oil prices, especially for Western Canadian Select (WCS). “Growth has been running close to potential, employment growth has been strong, and unemployment is at a 40-year low,” the press release said. That’s not such a bad picture. Yes, the oil price drop is taking its toll on energy investment, household spending in Alberta, and trade income, but the Bank says the situation is not as bad as in 2014-16 and should be only temporary. “Indicators of demand should start to show renewed momentum in early 2019, leading to above-potential growth of 2.1 per cent in 2020,” the Bank said. In short, if the Bank is correct in its analysis, the economy will go through a rough patch in the early part of this year but should gradually gain momentum as we move towards summer. Of course, this is contingent on a lot of things going right. They include a recovery in the oil price and a successful resolution of the U.S.-China trade dispute, which, the Bank says, “is weighing on global demand and commodity prices”. While we wait for all this to play out, the Bank is postponing more rate increases – good news for consumers, home buyers, and for the broad market generally. Some economists have suggested that we may not see any increases at all this year. In the U.S., the minutes from the Federal Reserve Board’s December meeting also suggest it may pause for a while. The November trade numbers reflect some of the Bank’s comments. According to Statistics Canada, total exports fell 2.9 per cent month-over-month. Most of the drop related to oil exports to the U.S., which were down 3.9 per cent to $35.3 billion. Much of that decline was due to the deeply discounted price for WCS. The numbers are a reminder of the significance of the energy sector to Canadian performance. But none of this came as a shock to the stock market, which had already priced the discounts into the valuation of energy stocks. Interestingly, as of the close on Jan. 10 the S&P/TSX Capped Energy Index was showing a 8.2 per cent year-to-date gain. So, what about the Bank of Montreal cutting its 2019 forecast for the TSX by 1,000 points? In a report to clients, BMO’s chief investment strategist, Brian Belski, said it’s impossible to ignore the sharp drop in stocks at the end of last year. Even though it was fueled by “speculation, rhetoric, innuendo, and fear”, he felt it necessary to reduce his forecast for this year from 18,000 to 17,000. The good news in that is that, even at the lower level, it still represents a gain of 13.8 per cent from the level of 14,939.18 at the time of writing and 18.7 per cent from 14,322.86 at the end of 2018. If Mr. Belski is on target, that would represent an advance of 18.7 per cent for the TSX. That would be the largest one-year jump since 2009, when the Composite gained 30.6 per cent when stocks snapped back in the aftermath of the subprime mortgage crisis. That would be a great recovery from the double-digit loss of 2018. Let’s hope he’s right.